Exterior of Building. Sundance on the Harbor is located on the bottom right of the picture. 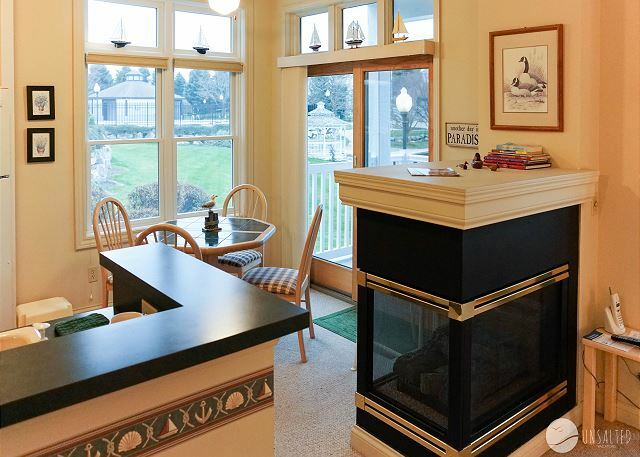 Kitchen, dining, and living rooms with great harbor views. Dining room with gas fireplace. Pull down wall bed, queen sized, that closes up to provide more room during the day time. 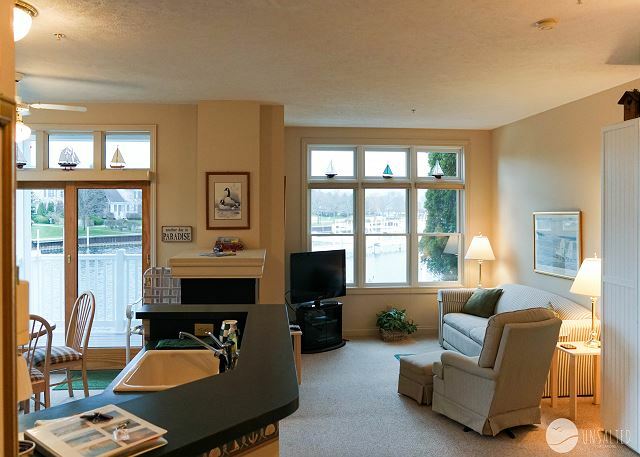 Sliding patio door out to private deck with beautiful harbor views. Private deck with beautiful harbor views. 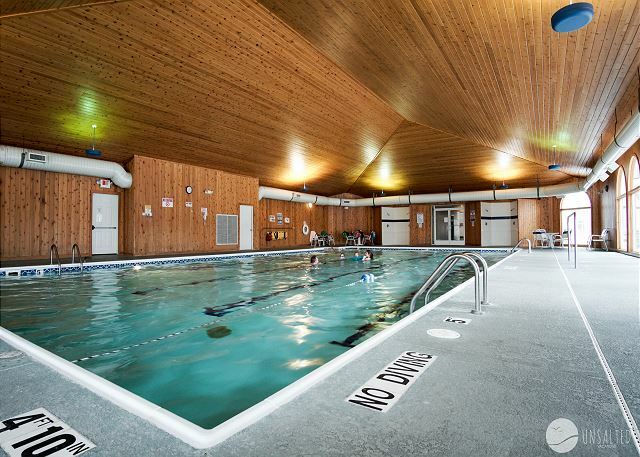 Huge indoor pool and hot tub open year round. Outdoor pool and hot tub area. 5th Avenue Beach, just steps from the condo. 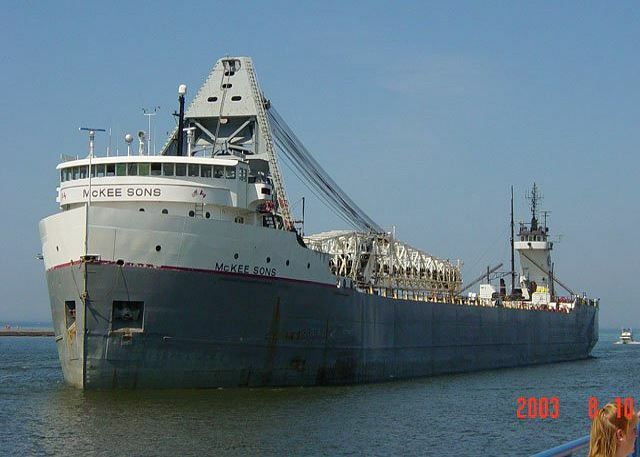 Manistee is a deep water port and is a regular destination for huge commercial ships. 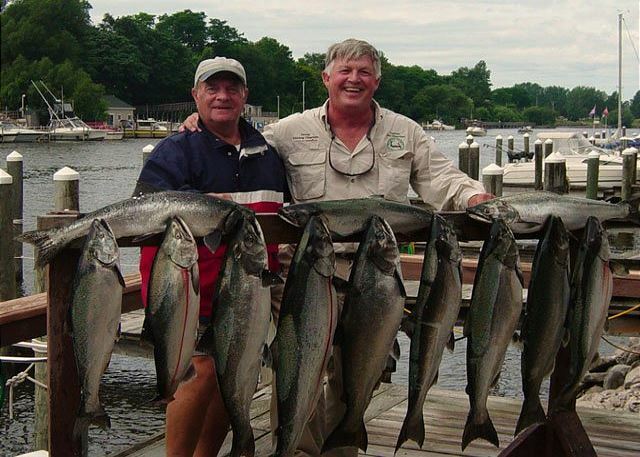 Manistee is home to world class fishing! Channel sunset view looking out towards Lake Michigan. Wooden ship park to the east of the harbor. Communal charcoal grills to the east of the harbor. Playground to the east of the marina. 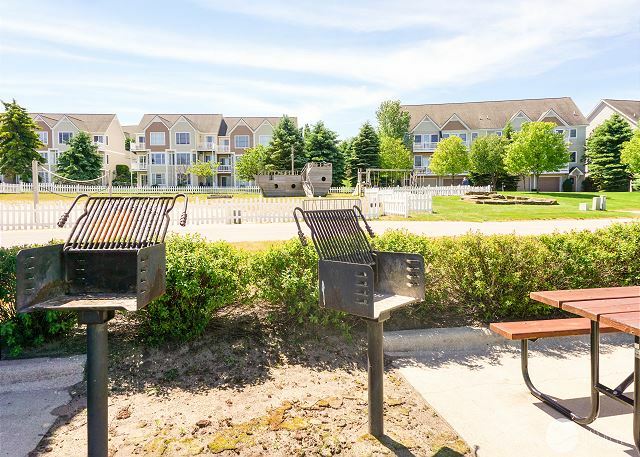 Communal fire pit and playground. view from Harbor looking out towards channel with easy and quick boat access to Lake Michigan. Lush landscaping and immaculate grounds. Fitness room located inside the indoor pool and hot tub building. View up harbor looking back towards green space and pool areas. 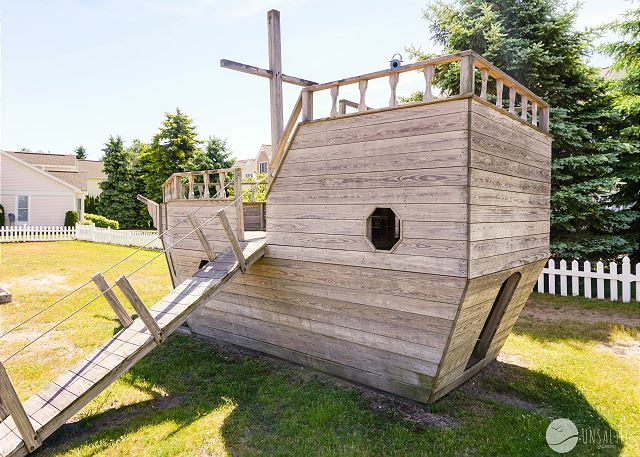 Cozy studio condo that comfortably sleeps 4 with a pull down queen bed and pull out sofa. All the amenities you'll need to enjoy a week at the beach. 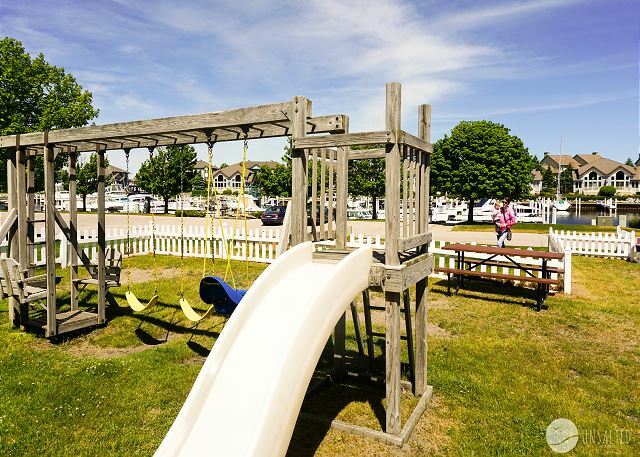 You will be in for a special treat if this visit to Manistee is your first. 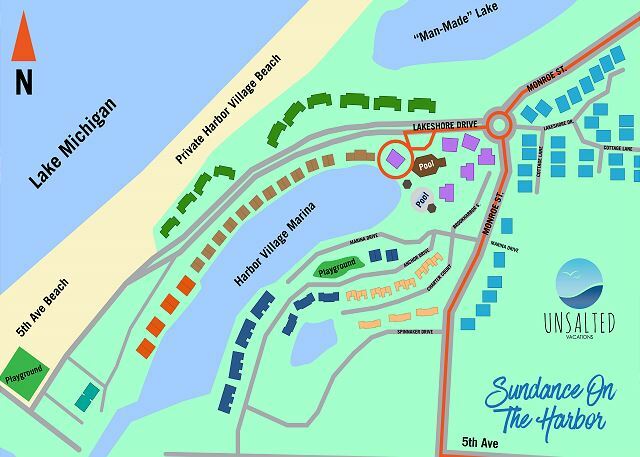 If a return visit....like so many, we understand why - a gem in one of Michigan's most beautiful areas with opportunities nearby for many sights to see and places to visit. 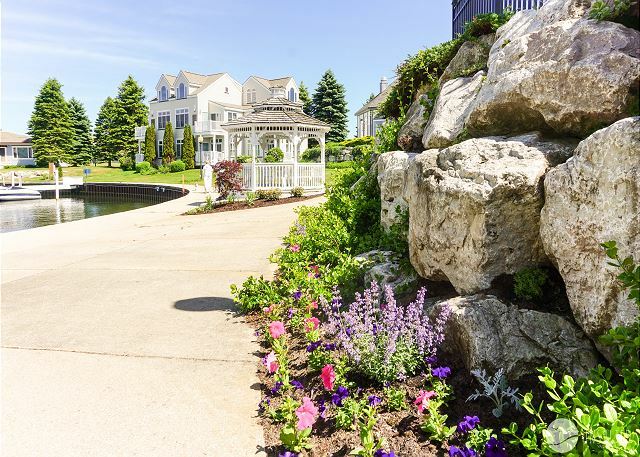 Eight golf courses, a casino, endless boating (power, sail, canoe, kayak, etc) on lakes or rivers, three groomed beaches on Lake Michigan, excellent restaurants and shopping in our Victorian Port City. Enjoy the Manistee National Forest with its many hiking trails, lakes and rivers; local wineries, a museum and special holiday parades and downtown festivities. Just enough room for my wife and I to relax. Walked to the beach everyday. Enjoyed the pool, it was heated. The town has a lot of history and charm. We will be back. I love to stay in this condo. Overlooks the marina and had the added advantage of a butterfly tree to watch the monarchs this year. Short walk to the beach to watch the sunsets. Great condo for a quiet get away! Rented the condo for a short get away and it exceeded our expectations in all respects. Clean, very well stocked with everything one could need down to cotton balls in the bathroom. Lots of nice touches like guidebooks to the area, games, books etc. Well decorated and very comfortable. Met the owner while sitting out on the deck and he couldn't have been nicer, made sure everything was to our liking. Would highly recommend and look forward to staying here again! Hi Karen - Thank you for your feedback. We are so glad to hear you enjoyed your stay at Sundance on the Harbor in beautiful Harbor Village. Please come see us again! This condo is so nice! It is close to everything. We went to the beach everyday and took walks along the marina. The condo is so clean and cozy. The view is amazing! We watched the boats in the marina come and go right from our deck. This is such a relaxing and quiet place. We will be returning soon. Hi Denise - we were so glad to see your reservation come in for this unit as you're always such a fantastic renter to work with. We look forward to hosting you again soon! This was our fourth time staying at Harbor Village and first time in Sundance on the Harbor - would highly recommend! It was perfect for just my husband and I and Harbor Village is the best location in Manistee! Hi Mary - we're so glad to hear that you enjoyed another visit to Harbor Village. Enjoy the rest of your summer and come see us again soon! We had a great stay at Sundance on the Harbor. Everything was clean and the location was perfect! Thank you for your review and we are so glad you enjoyed your stay at Sundance on the Harbor! We are so happy you had a wonderful vacation! This condo is such a great place! It is right on the marina so you can watch boats in and out. It is so clean and comfortable. We had a wonderful time. Thanks so much for your review of Sundance on the Harbor. Glad to hear your vacation was relaxing & comfortable. Hope to have you back soon!